"The hot springs everywhere here are lovely!" Have a question for Yoshidaya Ryokan? "The room is super clean and comfortable." "Had an excellent stay during my 2 nights in Yoshidaya Ryokan Hotel." "Location is also within walking distance to the central cable car station, bus center, eateries and hot springs." "Great staff, great 24-hour hot spring in hotel"
Designed for both business and leisure travel, Yoshidaya Ryokan is ideally situated in Yamagata; one of the city's most popular locales. From here, guests can enjoy easy access to all that the lively city has to offer. With its convenient location, the hotel offers easy access to the city's must-see destinations. At Yoshidaya Ryokan, the excellent service and superior facilities make for an unforgettable stay. To name a few of the hotel's facilities, there are free Wi-Fi in all rooms, Wi-Fi in public areas, car park, restaurant, pets allowed. Guests can choose from 20 rooms, all of which exude an atmosphere of total peace and harmony. The hotel offers fantastic facilities, including hot tub, spa, to help you unwind after an action-packed day in the city. Discover an engaging blend of professional service and a wide array of features at Yoshidaya Ryokan. 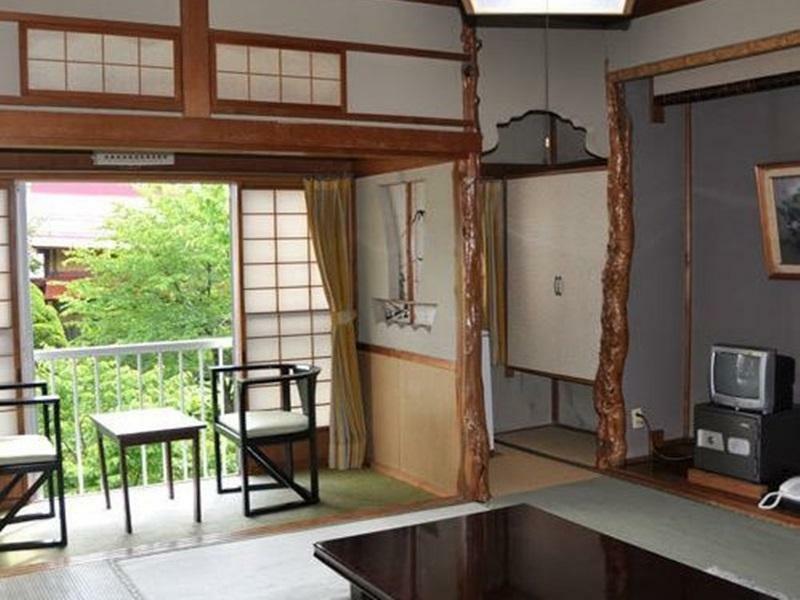 "This ryokan is located in excellent location - close to bus..."
This ryokan is located in excellent location - close to bus stop, ski rental, and ski lift. The owner speaks excellent English and can answer all your queries. There is a small onsen in the ryokan so you can use it if you do not feel like walking to public bathhouse. The room is super clean and comfortable. The only drawback is for the traveler with bad knees since the stairs are quite steep and can be challenging after a hard day on the slope! Pro - easily accesible from the bus station, give discounts and free tickets to at least 3 other onsens, staff even gives reccomendations about nearby tourist spots Note: If you arrive after 7PM, it's hard to find a nearby resto/izakaya that's open. So eat somewhere else before going to zao onsen if your reservation does not include food. I was an accidental tourist here, with my ski trip to northern Japan cancelled by heavy snow at the airport in Sapporo. But this was a decent secondary ski destination. The snow wasn't as abundant but it was good enough. The hot springs everywhere here are lovely! And the staff and food at this establishment are excellent. Had an excellent stay during my 2 nights in Yoshidaya Ryokan Hotel. Staff are approachable if you have any enquries. Location is also within walking distance to the central cable car station, bus center, eateries and hot springs. It is possible to obtain discount (or free) coupons for the various hot springs around the town. Even though the building may be a little worn out, the rooms and facilities are still pretty well maintained. Town is generally quiet despite the peak season, so travelers after a day of skiing or hot spring visits are able to enjoy the peace and quiet in their respective rooms at Yoshidaya Ryokan. Given the chance I will love to stay here again. english speaking staff, great location, very foreigner friendly. I would recommend yoshidaya to anyone who would like to experience the snow in Japan without being surrounded by westerners all day long. Very traditional town with onsen and a lot of history around. The slopes are amazing and the snow monsters are worth the visit alone! Yoshidaya caters for foreigners but don't except to see many more than the ones in this particular ryokan. Great service and full of knowledge of the area, exactly what to except from quality Japanese service. We had a very good stay, our Japanese style room was large enough for 3 adults and 2 .the manager was kind, attentive very informative. The hotel is a little , but everything is clean and working fine. All in all we had a great stay. As the topic, the service is great. It also has private hot spring for 24 hours. It's awesome! It is near the bus station. My Dad and I only stayed a night here, but were made to feel very welcome. We were given all the information we could handle including some valuable tips on where to eat, when to go up the mountain to see the snow monsters, and even a "service" coupon to use a local hotspring. The hotel itself is well maintained, be it a little on the old side. The beer in the fridge was cold and hit the spot. We would stay here again. This hotel is Japanese style ryokan located about 2o min walks from the bud station. Since we visited in Oct the town is quiet. The room is nice & clean with basic Japanese matress & toilet. There are two onsens for Male & Female. The onsen is small but should be suitable for numbers of guests. Ms Yoshidaya gave us good advices on our activities the next day. She drove us to the cable car station in the morning, picked us up thereafter with towels since she know we are going to Dairotenburo Onsen immediately after. What an excellent & thoughtful services provided by Ms Yoshidaya! We stayed at Yoshidaya Ryokan for 3 nights in between travelling from Akita to Kyoto; it was a great to escape to the mountains between 2 hot busy cities and Yoshidaya Ryokan was perfect for us: no need for air conditioning with cool mountain breeze and big windows to open onto the quiet streets; a relaxing soak in the onsen each evening before making tea in our room and falling sound asleep on comfortable futons. Arrived for a couple of days snowboarding. Greeted by a lovely lady at reception who spoke good English. Very simple Japanese style.. so do not except any luxuries but if you want to experience service and a lovely small onsen hotel.. Have fun! chigusa-san the manager could not do enough for us, she was always ready to help with anything we needed and has all the information you need about ski/boarding, transport, eats, etc. the hotel is a nice place to stay if you are looking for a real japanese experience. the rooms are big and you have a separate lounge/dining (seating on floor around low table) and bed room. the rooms arent separated by a door or walls its all open space. the staff are lovely and make up your bed for you and provide new towels and toothbrushes each day. the hotel isnt the cleanest place i stayed in but it wasnt anything too major. its a good location only a short few minutes walk to the ski lifts, shops are the same and hot springs are all around. the people in this town are lovely and tourists even get presents at some restaurants when you are leaving. there is absolutely nothing to worrying about with the radiation either. the only thing to get use to is the smell of the natural hot springs. Zao onsen has many ryokans from which to chose. Some are more modern while others have been there for a long time. 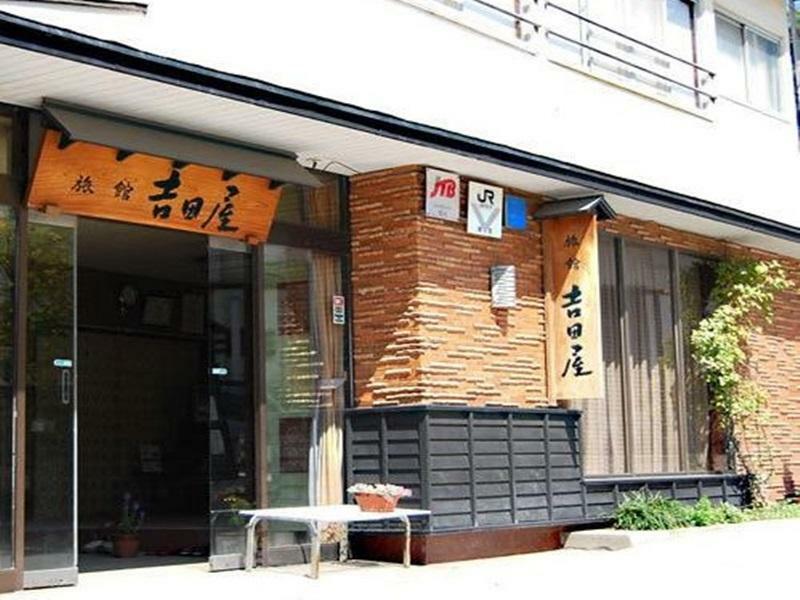 This is the case of Yoshidaya, which has been run by the same family for close to 300 years. It is not the most modern of ryokans, so those who would like high end luxury type accomodations should go elsewhere. But it was for us simply divine. The rooms are spacious and clean, the ryokan is easy to access from the bus station, the people there are incredibly kind and excellent english is spoken for those whose japanese is minimal. There was a small problem with the room initially, so another one was provided without question. You can bathe in their own furo or visit many of the surrounding public baths in this charming mountain village. Ryokan staff will recommend local places to eat and provide all necessary information on the activities. They even went out of their way to provide us with a regional specialty dish we had simply mentioned we wanted to eat on the previous day! !